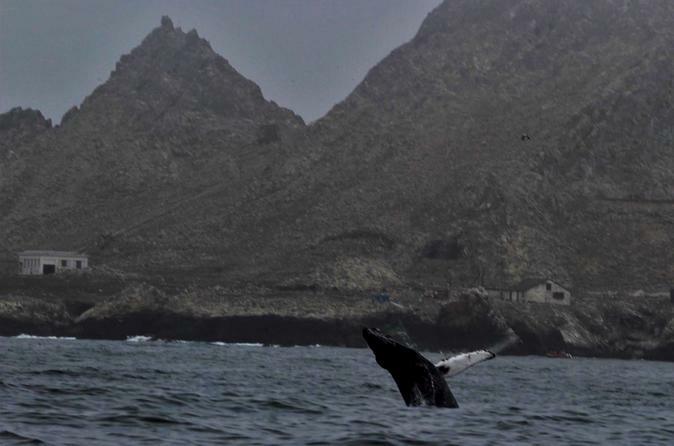 Join us aboard an exciting all day offshore adventure to the Farallon Islands! This trip departs from World Famous Pier 39 in San Francisco Bay to the Gulf of the Farallones! It's perfect for experienced boating enthusiasts and adventure seekers alike. Our experienced captain, crew and naturalist will make this a trip to remember and open your eyes to the remarkable marine wildlife you will see on this thrilling 6-hour ocean cruise. Meet for check-in at our whale booth at 7:30am for check-in and our naturalist guide with walk you to our state of the art eco-friendly vessel to begin your adventure! Pack a hearty meal, plenty of extra layers, water, and some sturdy waterproof shoes and join us on this adventure into the wild. We highly recommended preparing for seasickness. There are many over the counter remedies available at local drug stores. We sell ginger chews and Anchor Bars on board for your convenience. We strive to make the trip to these protected islands an unforgettable experience with safety our #1 goal. Along the way you will not just have the chance to encounter whales, but you may even see dolphins, sea birds, and sharks! Every trip is a unique experience. Don’t miss the boat!